How are Stormtroopers uniforms cleaned? Being that Stormtroopers always seem to have immaculately cleaned uniforms, how are they cleaned and by whom? Are they just issued with new gear for each assignment? The implication is that Stormtroopers are responsible for the superficial cleaning of their own gear. They certainly clean their own weapons, at least within their barracks, with teams of 'techs' taking care of any actual equipment malfunctions. Finn knew the layout of the dark flood tunnels like he knew how to clean his rifle. He could travel through the maze with a blast shield over his eyes and still get where he wanted to be. "Combined with a helmet, this armour could be made airtight, providing limited protection in a vacuum. It was also durable enough to last for generations. Within the EU, we see clone soldiers cleaning their armour between missions. Fi glanced into some of the rooms to check who might be awake and willing to chat, but the Delta boys were all out cold, not even snoring. Niner and Corr slumped in chairs in one of the alcoves with a plate of half-eaten cookies sitting on the small table between them. Darman was stretched out on his bed in the room he shared with Fi, apparently none the worse for his ordeal, and Ordo was curled up in the next room with a blanket pulled over his head. Odd: he always seemed to do that, as if he wanted total darkness. There was no sign of Jusik or Etain. Farther along the passage, Fi struck lucky. Atin was sitting in the chair in his room, cleaning his armor. “Not since yesterday.” Niner cleaned his armor. It didn’t matter how visible they were now, and he hated scruffy rig. Darman had stripped down his Deece and was wiping the ignition chamber more than it needed it. Fi wandered around the temporary camp, cradling his rifle, keeping watch. Note that Finn and his buddies are rookies and that it was Finn's first combat op. 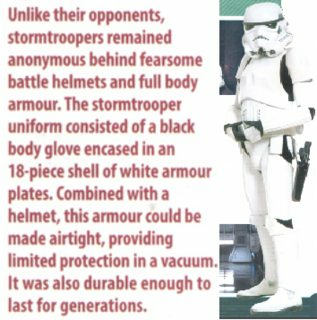 Most likely the other stormtroopers didn't see much action either, therefore their armor is brand new and clean. In Star Wars: The Clone Wars we can see that their predecessors, who've spent a considerable amount of time in the field do indeed have worn and scratched armor. Are Imperial stormtroopers all clones? Is there any in-universe reason for a stormtrooper to use a melee weapon against Finn? Why are stormtroopers' legs asymmetrical? 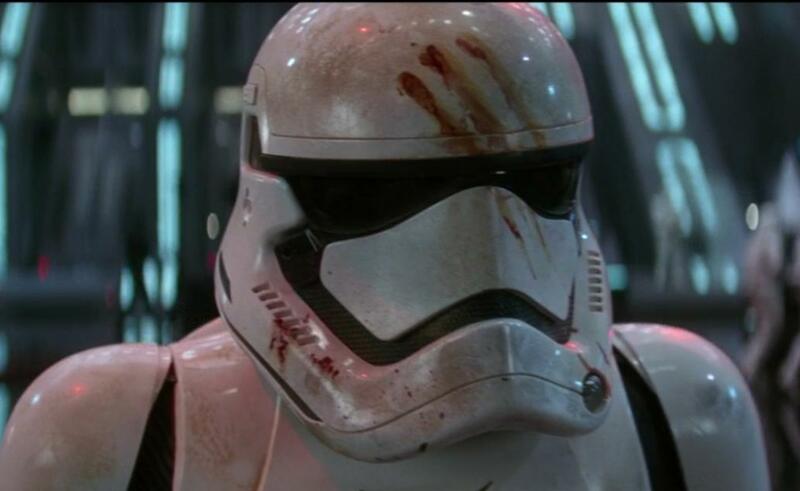 When did the coloured shoulder pauldrons on stormtroopers first appear? 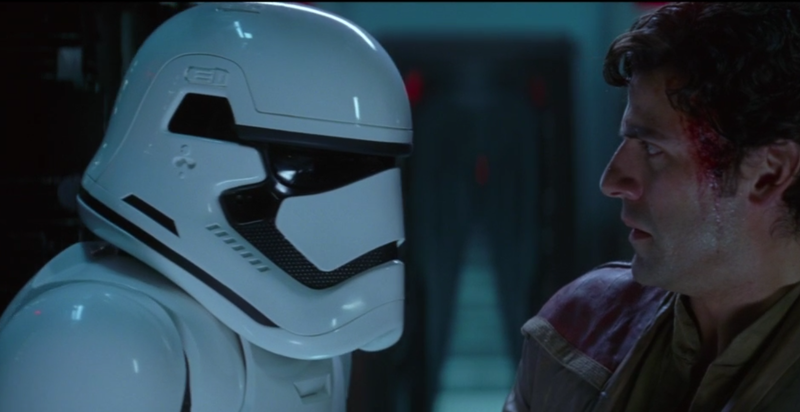 Didn't these two characters from The Last Jedi already meet in The Force Awakens?